Did you get to read my interview about Liz of Made In Lowell last week? 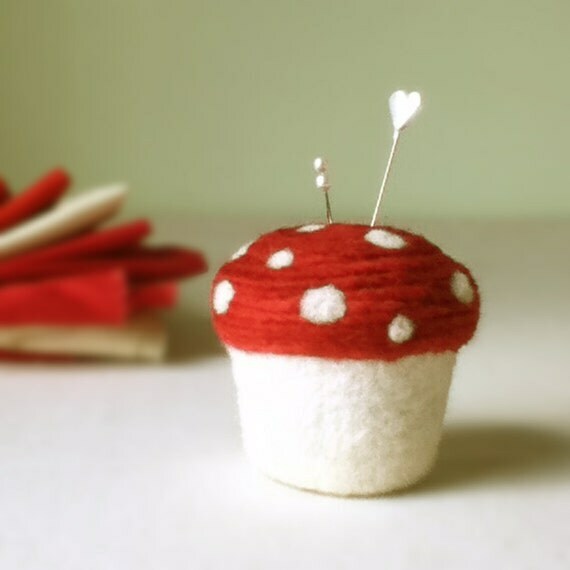 She creates many lovely items for her shop. 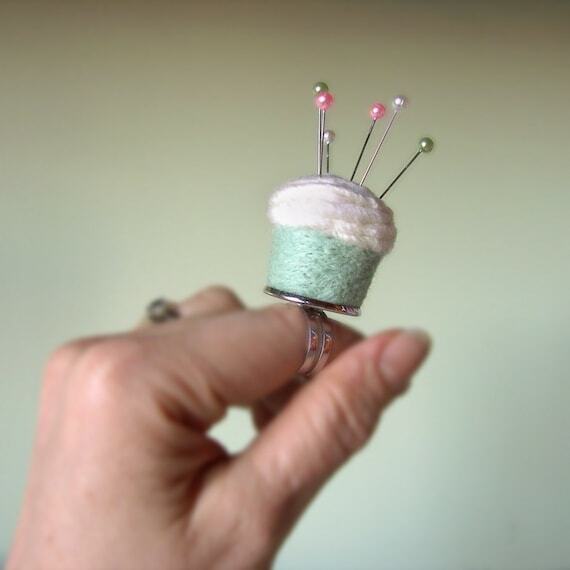 I couldn’t resist one of her pincushion rings. You know I love “practical yet pretty” items and this was the perfect birthday present to myself! If I’m going to spend a lot of time in my sewing studio, I want to be surrounded by pretty things. Well, my hand or photograph, isn’t as lovely as Liz’s, but I use my ring all the time! 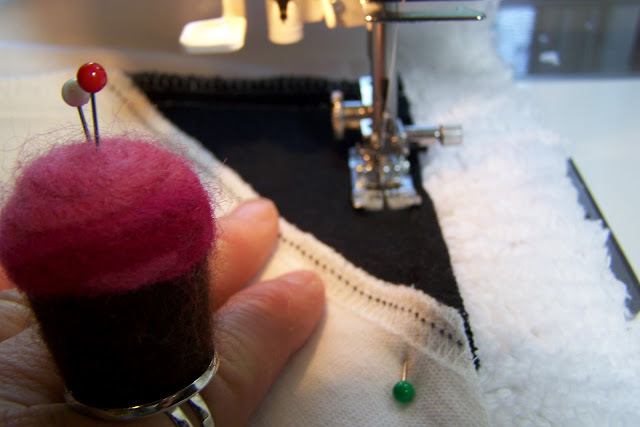 I especially love the pincushion ring for projects that require a lot of pins – like my quilt blankets! When I’m crawling around on the floor pinning the layers together it is really handy to be so close to my – well, – hand! And then I can sew with it on and throw the pins right back in! The pincushions Liz makes are adorable! So treat yourself to a perfectly practical sewing aid from Made In Lowell! You know I adore these !!!! SO saving my pennies for a cupcake! such an adorable idea! absolutely love your blog! I’ve hope you don’t mind but I’ve used (and credited) your final image on a new blog I’ve just started (here: http://sarah-rosesews.blogspot.co.uk/) please let me know if this isn’t okay and you’d like me to remove the image. I couldn’t find an email on here and didn’t want to not inform you of it.